Covert Shores has a pair of recent posts that may be of interest. First there is a series of recent pictures of narcotics smuggling vessels seized by El Salvador and cutters Seneca and Stratton. Also there is a brief review of the naval activity and capabilities of the Houthi Insurgency in Yemen. What is striking about the photos of the smuggling vessels is how similar they are, and how different from many of the preceding craft. They are not identical, so they are not being made on an industrial scale, but they are all of a common concept. The post calls them narcosubs, but they don’t have the extensive effort to minimize observability that earlier narcosubs had, and they don’t run decks awash. They have made some attempt at stealth, but the attempts to cool their exhaust to minimize Infrared signature are gone, along with the inboard diesel engines replaced by multiple outboards. They have more freeboard, and are probably a great deal faster. 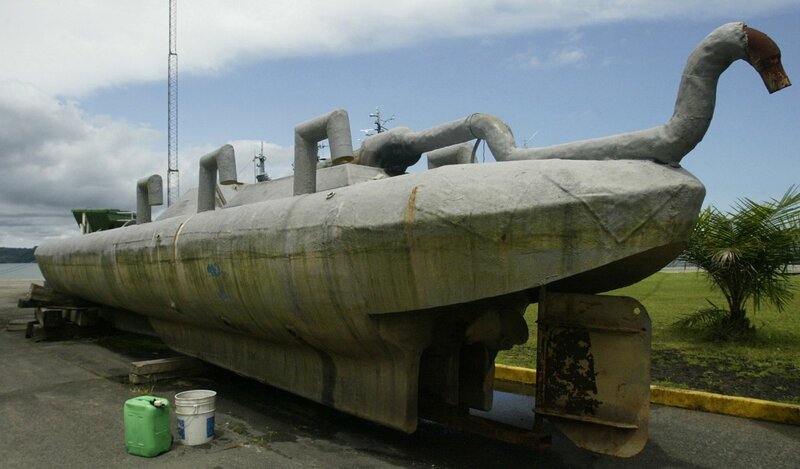 Looks like they have combined features from go-fasts, Very Slender Vessels, Low Profile Vessels, and semi-submersibles. This entry was posted in Drug Interdiction, Eastern Pacific by Chuck Hill. Bookmark the permalink. the cg could never support or man subs the way it needs to be done, at least with out a massive inflow of cash. then again right now we can’t even do anti-submarine. Americans just don’t do humour do they? X, Its why we need John Oliver and Tracy Ulman. Really miss Monty Python. The whole country seems to have a mad on, so we really do seem to have lost some of our sense of humor. With that I will add. TORPEDOES, they are not just for submarines any more.